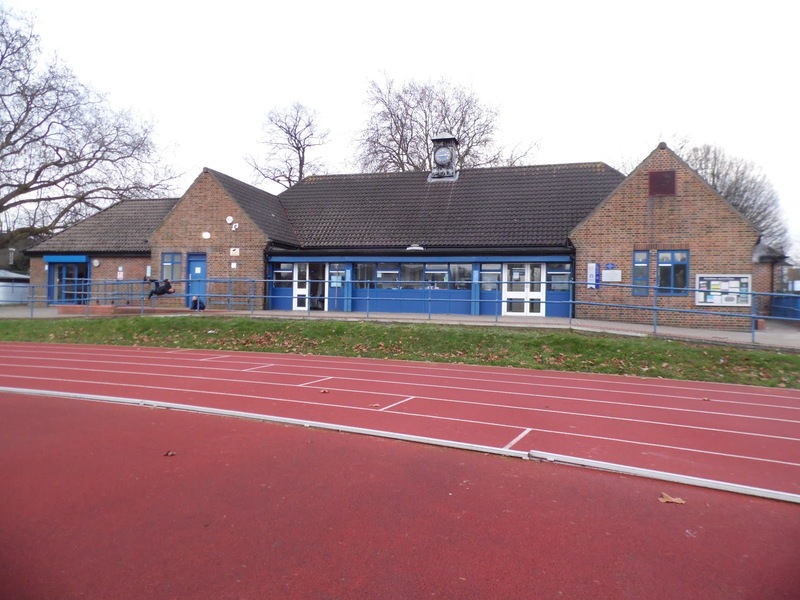 The club is a fairly young one, having been established as recently as 1992. 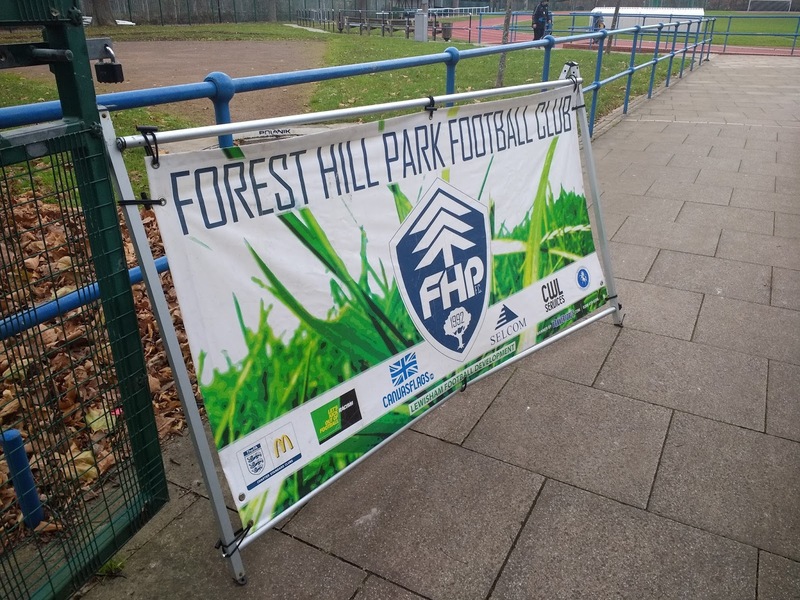 The club got their hame from the local areas of Forest Hill and Honor Oak Park.Formative years were spent in the Crystal Palace & District Sunday League before a switch to Saturday football and spells in the Bromley & District & South London Alliance Leagues. 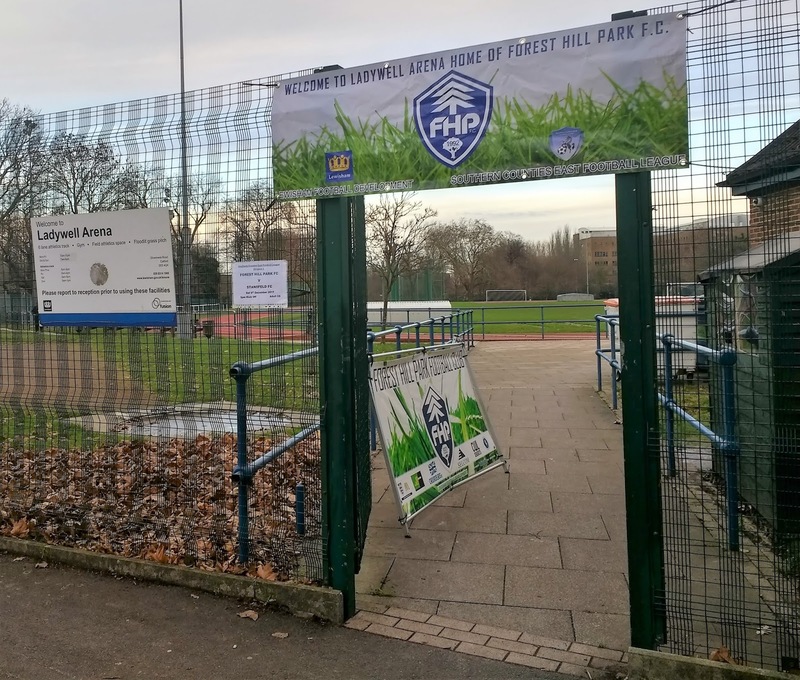 In 2008, Forest Hill Park joined the Kent County League. They won Division 2 West in their second season, earning promotion to Division 1. They've been there ever since, though name changes meant the league became the Keni Invicta before settling on the SCEL D1 at the start of last season. Their best ever finish of 5th came in 2015, this season has seen a fairly average start and at the start of the game, the team sat in 13th place. 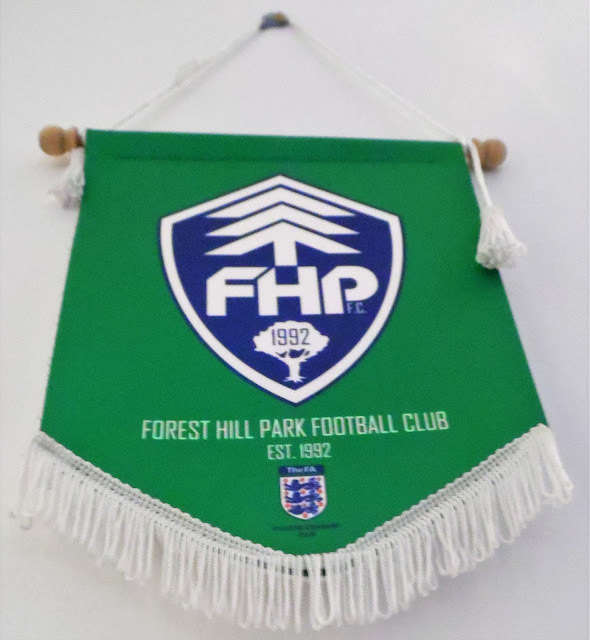 Forest Hill Park have not yet participated in the FA Cup, but this season they made their bow in the FA Vase. 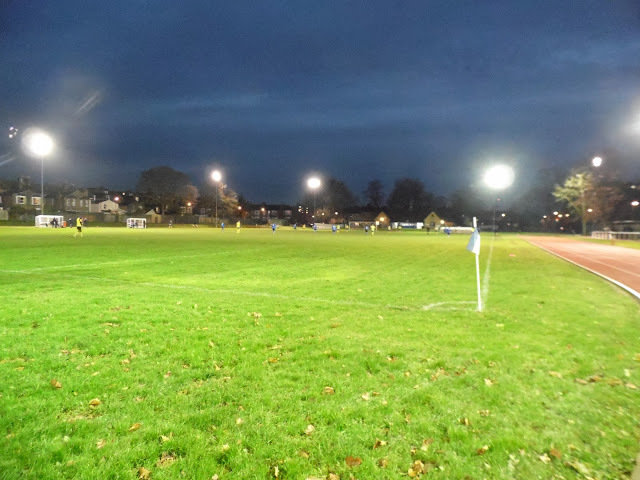 The 1st Qualifying Round saw an epic 4-4 draw with East Preston down in Sussex before they won the replay 1-0. 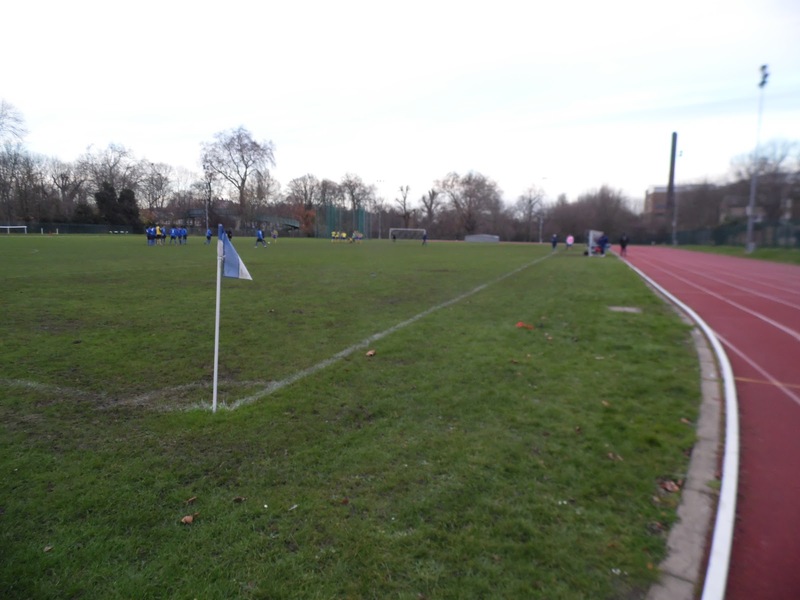 However, they lost 5-0 in the 2nd Qualifying Round at CCL Premier side Balham. Local honours include the West Kent Challenge Shield in 2011. 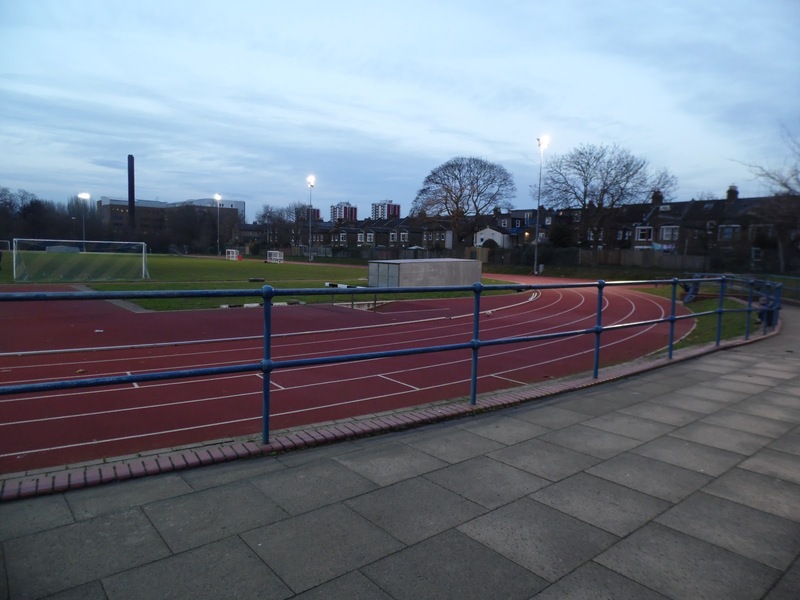 The club is based in Catford, most famous for hosting greyhound racing up until 2005. Famous people with links to the town include boxer Henry Cooper, singer Cat Stevens, army hero Andy McNab and comedians Ben Elton & Spike Milligan. Once again I’d decided to let the train take the strain for my Saturday groundhop. With nothing obvious that I fancied in the Birmingham area, I decided that it would be another trip to somewhere in London. It turned out to be a good decision - had I decided to head to Birmingham, I’d have to buy the tickets a couple of weeks in advance to get a good price. With predicted frozen temperatures proving true, it was good to be able to walk up and get a great price on the day. There were 4 choices of new grounds that were doable for me, these being Forest Hill Park v Stansfeld, Kent Football United v Sporting Club Thamesmead, Meridian VP v Gravesham Borough and Worcester Park v FC Deportivo Galicia. Despite being a fairly poor ground from what I’d seen, my preference was for Forest Hill, due to it being the only one with a couple of decent pre-match pubs nearby. It also had the benefit of a backup option on 3G at Cray Wanderers should the game suffer a late postponement. 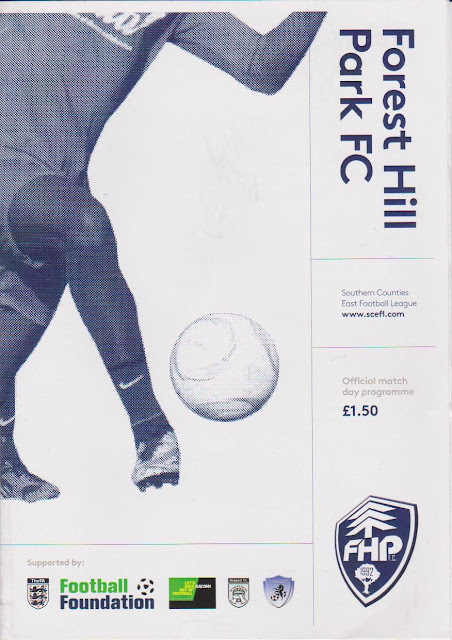 My backup was even offering free entry to all, which made up for the fact that it would be a revisit, albeit one that I fancied doing for a Bromley game. I woke around 9am on the day of the game, following a late night. After watching Corrie and researching today’s game, I had a cheeseburger for breakfast before leaving at 10.40. I got to Amersham at 11, waiting 5 minutes for a train. After changes at Harrow On The Hill and Finchley Road, I got to London Bridge station at 11.10. Normally this is my pre-match venue thanks to a cider stall at Borough Market, but not today. Instead, it was a walk to the overground station before a train to Catford Bridge. On the journey, I turned on notifications for both of today’s games, should I need to head elsewhere because of a frozen pitch. The train even went past the ground, with the pitch looking ok. From the station, it was a 10-minute walk to my first pre-match pub, the Blythe Hill Tavern. It had an excellent range of ciders, around 12, although they tended to be on the sweet side, rather than my preferred dry. Even so, there was plenty of scope for new tries and a half of Turners Apple Pie cider kicked me off. I watched the first half of West Ham v Chelsea, with the hosts surprisingly 1-0 up. My second half was a Millwhites Hedge Layer, another nice cider. My third and final half was Millwhites Rum Cask, yet again decent. By now, it was getting on for 2pm so I decided to start walking towards the ground, looking for a cash machine and dinner along the way. All in all, the pub was a cracker, nice and friendly and a good choice of drinks. I stopped at Morley's takeaway, as recommended by sweary Youtuber John Gage and had a double steakburger with fries and drink for £3.50. It was OK, nothing more, but at least it was cheap and filling, even if there were better options. I still hadn't found any cash machine by the time I reached the ground, aside from one that charged £1.85 for withdrawals. I decided to head towards the local Wetherspoons, the London & Rye in the hope that I'd find another. It came up trumps, £20 withdrawn at Halifax before I popped into the pub to see what they had on offer. 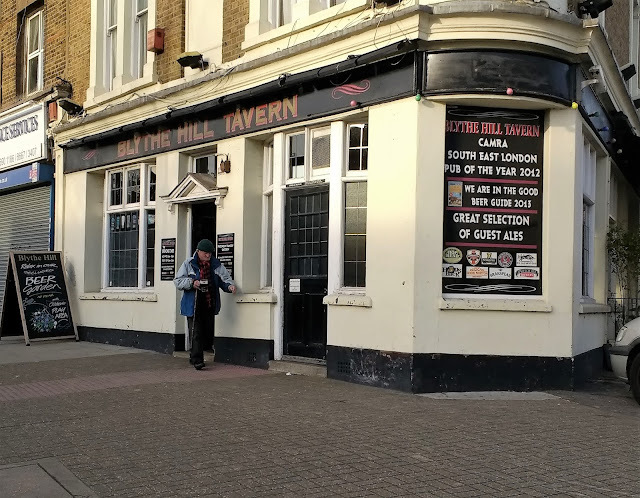 With my favourite cider, Black Dragon on offer at £2.89 a pint, it would be rude not to, so a swift pint was sampled before I made my way to the ground, arriving just before kick off. I paid £6 to get in, this included a programme and was a fairly standard price for this level. The first half was fairly equal, visitors Stansfeld netting just before half-time through Adam Ball who slotted into the net after the initial effort was parried. 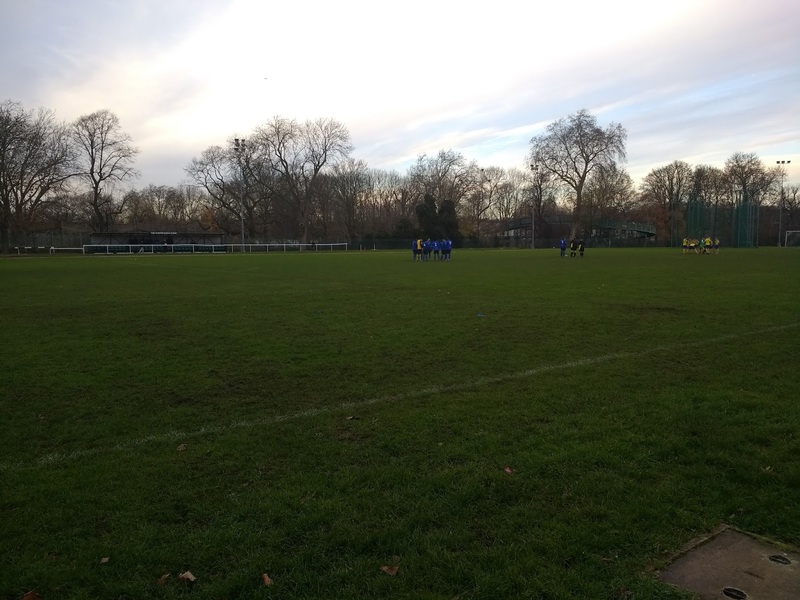 The second half saw Stansfeld step up a gear and they doubled their lead on 49 minutes with probably the goal of the game when Michael McKenna's rising shot found the top corner from the edge of the area. 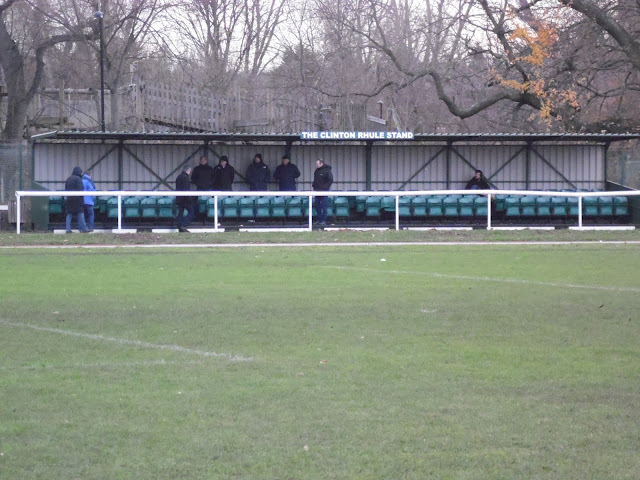 A curling shot hit the bar for the visitors before they got their third on 57 minutes when Billy Jolley rifled into the roof of the net from the edge of the area. Billy Shinners capitalised on some indecision in the home defence on 80 minutes thanks to a mix up between the keeper and a defender, but it was a good through ball in the first place. Adam Ball got his second of the game on 84 minutes to wrap up the win for Stansfeld, the video of his first goal is below. After the game, I made my way to Ladywell station, just over 10 minutes away. It was a 10-minute wait for my train, which was a nice simple journey to London Bridge. I then transferred to the underground, changing at Finchley Road before my final train back to Amersham. I changed at Harrow On The Hill to get my final train to Amersham, which arrived just before 7. Somewhere in between, I lost my hat. I have many spares, but it was my favourite one and very warm. 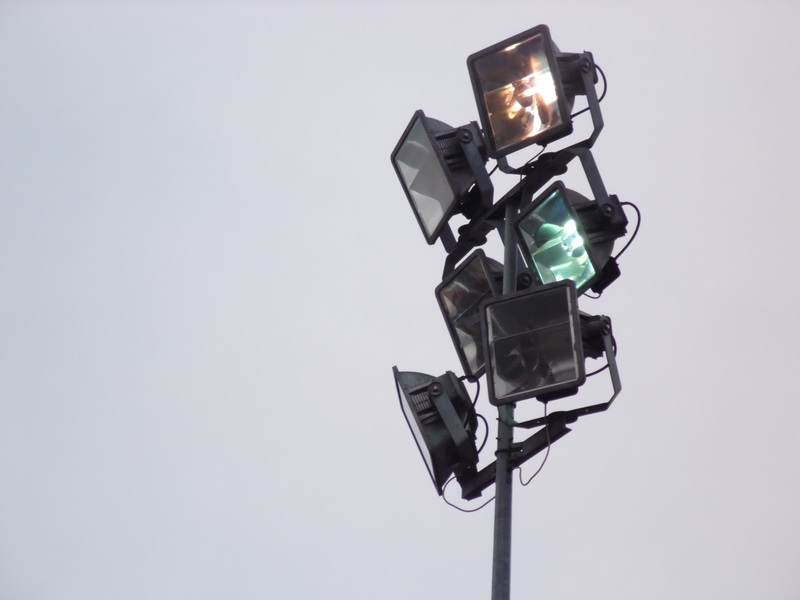 I was home at 7.20, trying to find out the goalscorers for today's game. The rest of the evening consisted of a couple of drinks, I'm a Celebrity and Match Of The Day. It will be London for the third trip in a row for my next game with QPR v Charlton Athletic in the FA Youth Cup on Tuesday. 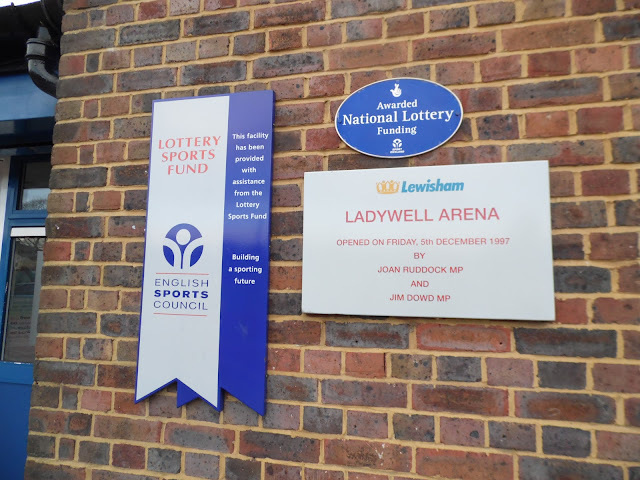 THE LADYWELL ARENA is not the most inspiring of grounds, with it having an athletics track, although you can stand on the track, unofficially, to get a good view of the game. The sole area of cover is a 100 capacity metal seated stand, whilst the rest of the ground is flat standing. 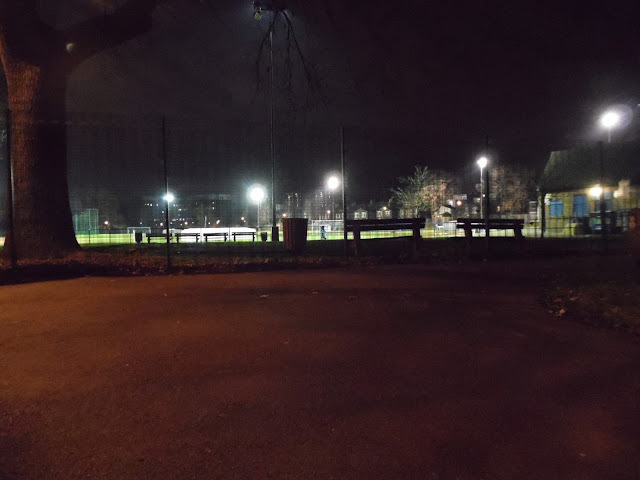 The fence around the pitch means that people can stand outside for free and many people did that when I visited, albeit not for the whole game. 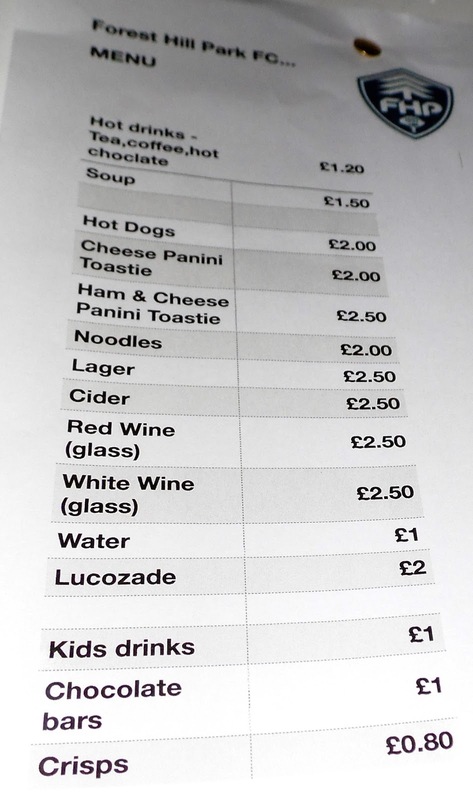 There’s a reasonable tea bar at the ground, this doubles up as the bar too, with cans available. 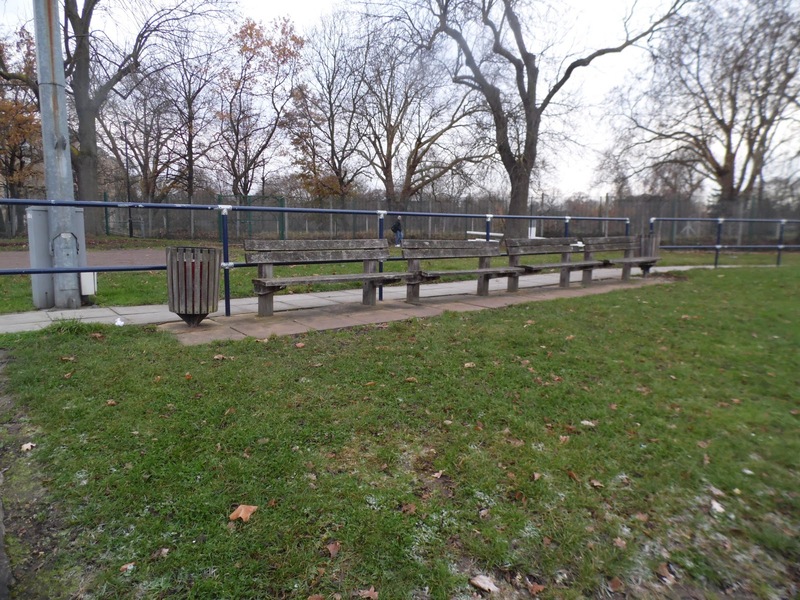 Less than 10 minutes away is Catford town centre, this has many outlets including the London & Rye, a decent Wetherspoons.